Ok I need to clear this post before end of this year as it’s been a few days I’m procrastinating on this post. 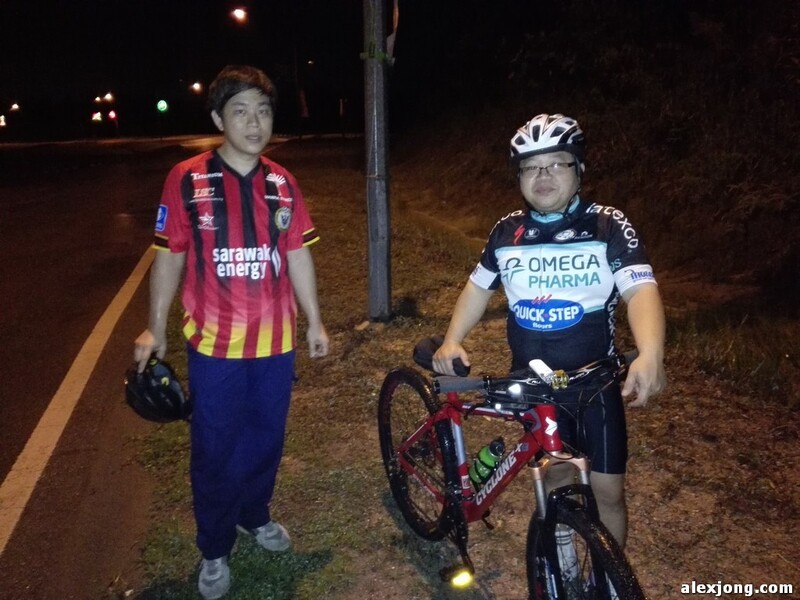 Over the past 3 days, starting from the 25th till 27th I’ve been trying to regain my cycling habits. 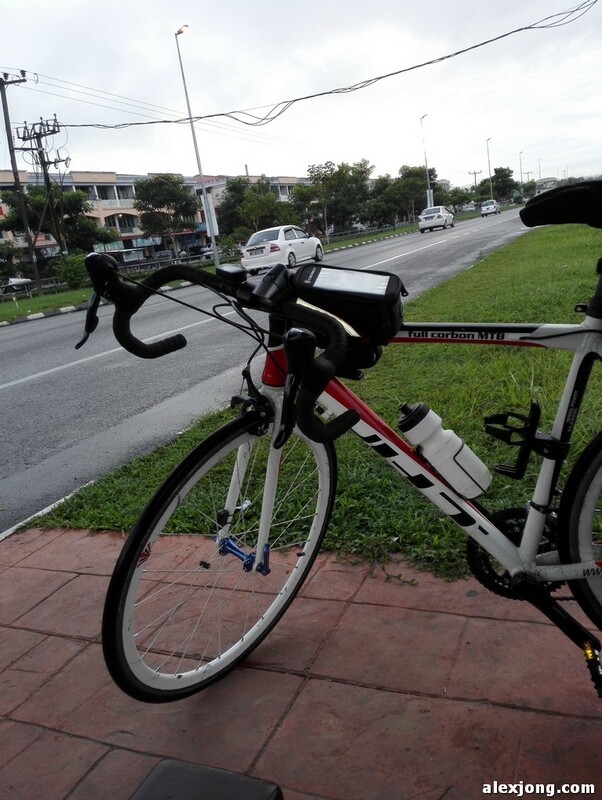 It’s been a long time since I last cycle due to weather. Never the less on Christmas morning, I did a quick 10 KM around town to pretty much warm up for Saturday where we plan to go to Siniawan. Along with my new Fenix BT10, the road seems to be clearer now as I was quite impress with the quality of the light. I’ll do a review on that some other day. Anyway, I started warming up around Main Bazaar as I was trying to slowly get back my pace. And then headed towards Pending area as I wanted to see how my progress will be like for the No.1 Chung Hua Hill. Despite managed to improve my previous performance by 7 seconds, I was totally flat and wanted to pass out after descending the hill. Goes to show that I’m no longer in good shape after a long period of time of not cycling. Never the less, it was good and headed back after that. On boxing day, I went and asked Mat to see if he would like to join me for a 20km ride. Again basically to prepare ourselves for Saturday. And this time we took it slow and easy, as we wanted to conserve our strength for the following day. It was raining, and I had to wait a while for it to stop before heading out to meet Mat at Hock Lee Centre. 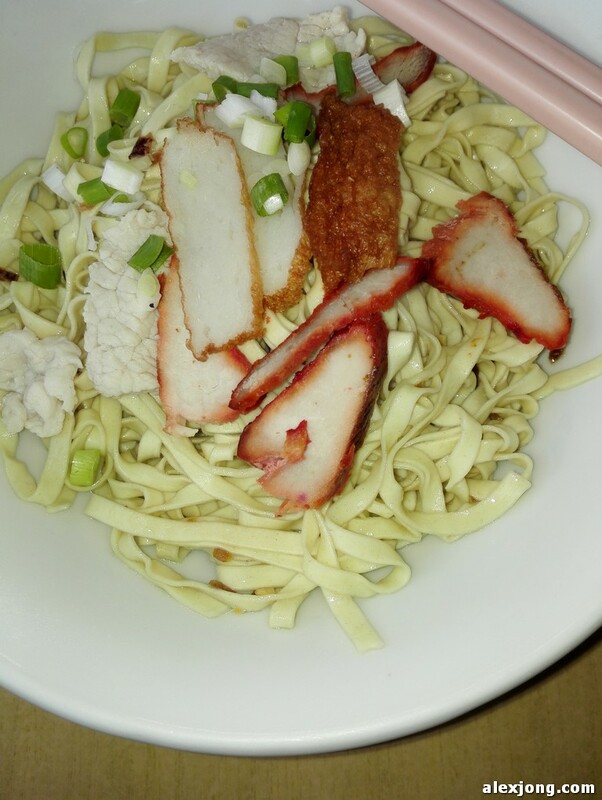 This time round we, went around to Petrajaya route and came down from Satok and made a slight detour go to Saberkas before deciding to go all the way to Sekama to tapao breakfast. Plus it was an slow an easy right, but we managed to pull through the entire 20+km in our time frame as well. Come Saturday, again it just finished raining and my journey got delayed about 15 minutes before heading out to meet Mat again. Initially I was suppose to go to his place to meet him, but due to the rain delay he decided to meet up at King Center’s roundabout. After 15 minutes, I managed to meet up with him and from there we spear headed towards Kota Samarahan to meet both Obed then Elmund. As both Mat and myself ride through early in the morning, we managed to meet up with Obed in 15 minutes and from there we headed out to get Elmund. By the time we reached the roundabout to Elmunds’ place, Obed gave him a miss call to inform him we were there already. After giving him a miss call we waited for him to come out to the main road to join us. By the time Elmund came out, we proceeded to head over to 12th Mile. Averaging about 18-20km/h cruising speed Elmund seems to pick up his stamina and was able to cycle at a steady pace. No doubt it was still a challenge for him, but never the less we carry on with our journey. It wasn’t long before something unfortunate came upon Mat’s bike. Apparently he rode across something sharp which eventually punctured his tyre. Unfortunately for him, I forgotten to take out my bike pump and he didn’t had any spare tube on him. Initially we decided to walk with him through the journey towards the main road but he insisted we go ahead without him. I told Obed & Elmund to accompany him while I go ahead to look for a bike repair shop nearby. 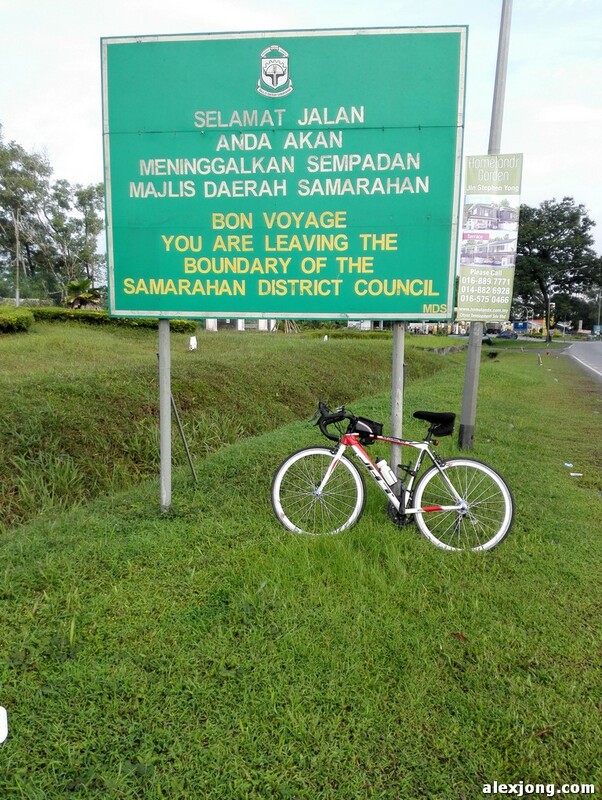 It was quite a distance probably another 2 KM before I arrived at the junction heading back towards Kuching town. First place I went and checked was about 3 KM down from the junction where they repair motorbikes but unfortunately it was still close during that time. I continued my journey and this time saw a row of shops, to see if there’s any place I could find help for Mat. Again there were workshops there but were still closed. After that I went into the petrol station to ask the attendant to see if they know any bike shops nearby hoping to find a spare tube and pump to help Mat. The attendant wasn’t too sure, but he did mention that I might have luck at 10th Mile. After that I then called Mat to check on him, and told him that a lot of the places were still closed. He told me that both Elmund and Obed went ahead and was supposedly trying to meet up with me. Then I tried calling Elmund asking where they were, and they told me they were at the junction and he saw Mat was coming up from the corner. So they asked me to wait where I am, and continued accompanying Mat to the closest bus stop and waited for the bus. Wasn’t long after that I got a text from Mat stating that he’s on the bus, and heading down to town to get his bike fixed. 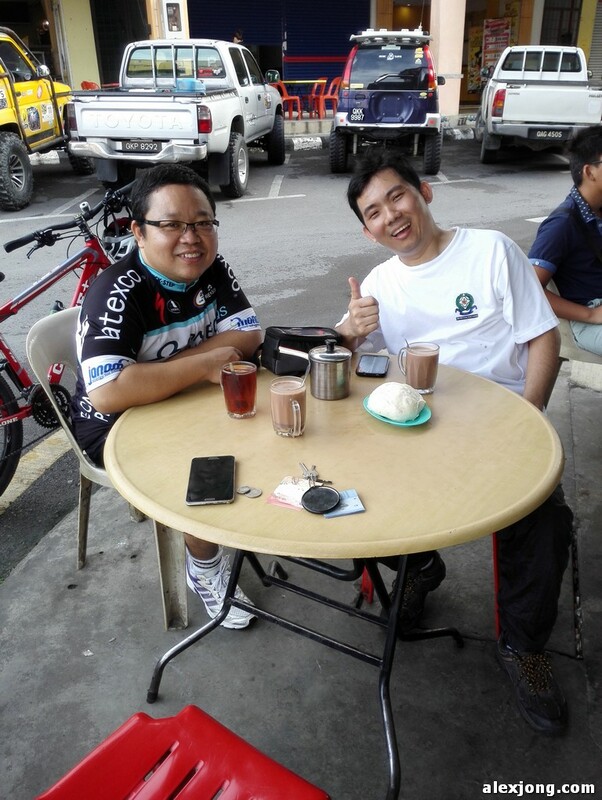 It wasn’t long before both Elmund and Obed came riding past my way, and we continue our journey down towards Kuching. Upon reaching 10th mile, Obed decided that we should refill ourselves first before heading back as most of us were pretty much hungry after an hour and a half ride. So after breakfast we decided to head back home to call it a day. As the weather doesn’t really seems to permit, we parted ways upon reaching Kuching Sentral. As both Elmund & Obed was heading towards Kota Samarahan, I went back to town. No doubt the journey was still quite a distance for me to go home, but never the less I was able to reach home within 40 minutes from Kuching Sentral. Heading towards the Jalan Keretapi stretch, I missed using the flyover as I was at the left lane and was not able to cut in due to traffic had increased a lot by then. So I went on the traffic light towards Batu Kawah, and from there managed to head on over to Jalan Keretapi. Here it started to drizzle, which was only then I had to push myself to ride faster. And fortunately for me I was able to catch the traffic light before it turned red. From there on onwards, I was able to reach home just in time before it rain. After checking in on everyone, they seem to reached home already. While Elmund was still steady from the ride, and Mat was just about to go out to get his bike fixed. That was pretty much it for the past few days of cycling. And I’ve decided to take a few days off to rest as my muscles were still sore up till today. Never the less, I won’t probably take for granted to leave my pump behind once again. Apart from that, all is well. Never the less, as I finally close this chapter for this post today. I would like to wish everyone a Blessed New Year, and may 2015 will bring better weather for all of us to cycle! Ride safe, Ride hard!